Oregon Aglink honored two leaders in agriculture who accepted awards for their achievement during the 14th Annual Denim & Diamonds dinner and auction at the Governor Hotel (now Sentinal Hotel) on Friday, November 18th, 2011. Greg Satrum of Willamette Egg Farms was honored with the Agriculturist of the Year award which was presented to him by Oregon Aglink President Doug Hart. Greg Satrum is recognized not only as co-owner of Willamette Egg Farms, a leading Northwest egg producer, but as a leader in the Oregon agriculture industry for his advocacy and contributions to animal welfare. Satrum grew up working on the farm. He remembers spending a lot of time in the summer moving irrigation pipes during many early mornings and late nights. Even after he earned a Spanish degree at Oregon State University he came back to the farm to work full time. “For me it was a way of hanging around my dad. My grandpa and my uncle and dad were all working on the farm at the time, so that’s just where I wanted to be,” says Satrum. He took care of the hazelnut orchards and led a construction crew to build hen houses. In 1998 Satrum’s uncle, who started Willamette Egg Farms, passed away unexpectedly, leaving a void in the business. Satrum began working more with the chickens and eggs to pick up the slack, working closely alongside his dad. He never looked back, and continued to grow with the business. “I like the challenge of always trying to be better at what we do. My dad has always been a pretty forward thinking guy and is willing to try things and think about new and better ways of doing things,” says Satrum. He must have inherited his dad’s traits because when the issue of Senate Bill 805 arose in 2008, he knew they would have to be proactive on the animal welfare issue and form a strong association. “We weren’t exactly sure of the details of what needed to be done but somebody had to do something. And I don’t know, I didn’t see anything happening,” says Satrum. Senate Bill 805 was a bill initiated by the Humane Society of the United States (HSUS) that would eliminate the use of cages in hen houses. In December last year Satrum sat down with HSUS to have a discussion about the bill. “I appreciated they were willing to talk to a farmer and see how it would impact our business,” says Satrum. “I was just very honest at the time and said why it didn’t work, and why I thought it could ultimately end our business and even hurt hen welfare, and that really led to a discussion that led to the amended version,” he says. 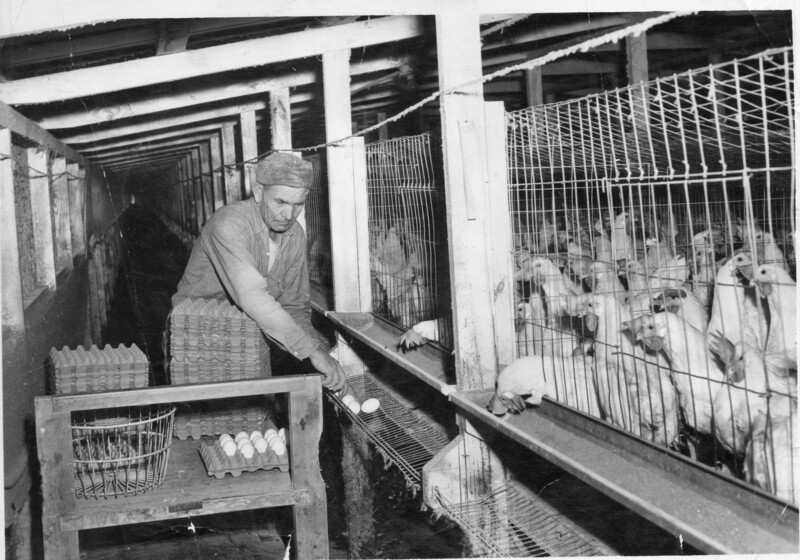 But Satrum really wanted to make change to improve hen welfare. He wanted to do the right thing. He invited Sharon Harmon, Executive Director of the Oregon Humane Society, to take a tour of Willamette Egg Farms. “I still remember when I picked up the phone and invited Sharon out to the farm for a tour because it was a scary step. I think that taking risks like that is absolutely essential to building trust with folks that maybe you haven’t been all that close with in the past,” says Satrum. “It really gave us a good grounding for not only what needs to happen, but on his perspective of why it needs to happen,” says Harmon. “He’s willing to share, he’s willing to talk, and there’s no better accelerant of progress than trust. So we’ve had that relationship going forward, had some real honest conversations and I’ve appreciated his candor; so I could understand his business, and I think he’s been open to our perspective as well,” she says. After countless meetings, discussions, and testifying for state legislators, Senate Bill 805 was amended, requiring egg producers to transfer to “enriched colony housing” by 2026. Hens will have twice the amount of space as is currently required, perches, scratch pads and a private nesting area. The bill will address new guidelines for air quality, employee training, hen handling procedures, and access to feed and water. With this bill, Oregon will have the highest standards in the country, which will start taking effect next year. “It’s unique because it’s backed by farmers; it’s changes we wanted to make,” says Satrum. He was the one who was able to bridge the gap between the egg producers and the Oregon Humane Society to make change happen. Satrum says receiving the Agriculturist of the Year Award has made him recognize the value of relationships and trust between people. “Ultimately a very diverse group came together and worked something out that was achievable and I think the right thing to do. And I’m just proud to be a part of that. It really set the stage for some things that are playing out nationally as well. And that’s pretty cool,” Satrum says. When Satrum isn’t advocating for bill amendments or working on compliance issues at the farm, he enjoys hiking with his wife or coaching a baseball team for at least one of his four boys. “I’m most proud of my family. My primary motivation is to be a good dad,” says Satrum. Ag in the Classroom was honored with the Ag Connection of the Year award which was presented to Executive Director Tami Kerr and Tammy Dennee by Oregon Aglink President Doug Hart. Today’s sad truth is that kids don’t know the source of their food and fiber. With a quick trip to the grocery store, food is always readily available, making it less necessary for kids to understand where the food they eat comes from. But Oregon Ag in the Classroom (AITC) has worked hard the past 12 years to help young people gain a better understanding of agriculture, the source of our food and fiber, and its impact on our economy and daily lives. The organization has reached 100,000 students in all 36 Oregon counties through their positive efforts to educate kids about the importance and impact of agriculture to our lives. AITC is a grassroots program that originally started at a national level by the U.S. Department of Agriculture in 1981 when they realized there was a disconnect between the rural population and classroom students. State programs emerged thereafter, each crafted differently to address agriculture education in a way best-suited to each state’s needs. Oregon started a program in 1984, and the program took off in 1999 when Tami Kerr was hired on as executive director to build the program from the ground up. AITC is designed to provide curriculum, reference materials and teaching aides to K-12 teachers throughout Oregon who are interested in using agriculture and natural resources for teaching current subject matter. It is a science-based, politically impartial organization, having a proportionate membership of agricultural and educational representatives. Resources include lessons, books, DVDs and kits. AITC provides trainings where teachers can learn how to use their materials in the classroom effectively. “What I love about it is that the programs they have follow the fourth grade standards for our science and social studies when it comes to Oregon and the things we study in science,” says Scott Kiser, a fourth grade teacher at Myers Elementary School in Salem. With just three employees and two of them part time, the accomplishments of AITC is beyond impressive. 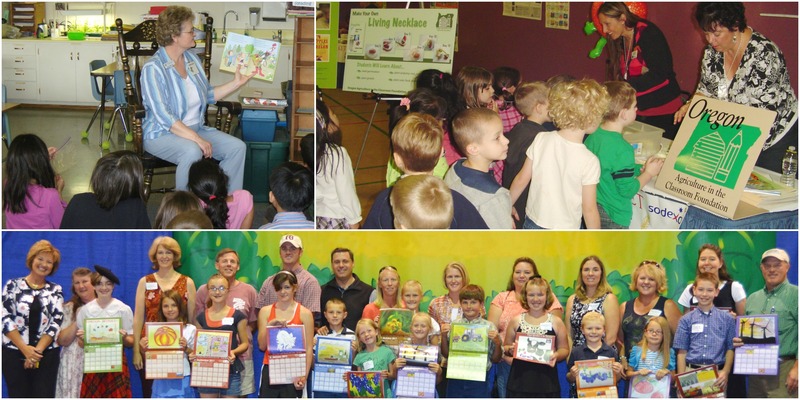 The last four years AITC has held the Literacy Project, an event held in the spring where volunteers visit their local schools for an hour to read a preselected book with connections to Oregon agriculture to students. In 2010, 515 volunteers read to 15,780 students in 30 counties across the state. The selected book was “Pancakes, Pancakes!” by children’s author and artist Eric Carle. Students learned how the ingredients in pancakes get from the field to the plate, connecting them with local foods in a fun, illustrative way. “It’s very important to have a sense of self and a sense of place, and to know what’s special about our state because we have a lot to be proud of, and it’s really nice for students to learn that,” says Kerr. AITC is also active at Ag Fest at the Oregon State Fairgrounds each year, providing displays and resources for teachers and hands-on activities for the kids. Every year they hold a calendar contest open to Kindergarden through sixth graders designed to highlight the diversity of agriculture throughout the state. Students get the opportunity to show their understanding of Oregon agriculture and what it means to them through art and creativity. Thirteen students’ artwork is selected for the calendar. The calendars are then given away to teachers, agri-businesses, commodity commissions and others affiliated with the industry. Some are sold to raise funds that go back into the program. “My favorite day of the year is the calendar reception,” says Kerr, “I’m so impressed by the teachers.” Kerr remembers one teacher’s incredible support for a student, driving all the way to the calendar reception from Medford to see him be recognized for his winning drawing in the calendar. “All the things that they do are so hands-on and so well-researched that I think they are more than deserving of this award, and I’m glad they’re getting the recognition they deserve,” says Kiser. For many years Kerr’s goal was to reach 100,000 students in the program. Now that AITC has achieved that goal, she plans to focus future efforts on improving the quality and delivery of their program and materials. She also wants to expand the Literacy Program into schools in all 36 Oregon counties. With the Literacy Program currently in schools in 30 counties, they don’t have far to go. “I think we have a great program and it’s wonderful to be recognized for the hard work that we’re doing. To be able to provide quality material to teachers and to know that they’re being used in classrooms, it’s very humbling,” says Kerr. With Tami now the President of National Ag in the Classroom, their impact is sure to be even greater.